Any other serial entrepreneurs out there? Or do you have a business that has a lot of drastically different services or offerings? So you can see why I might get a little uncomfortable when people ask “what do you do?” How do you describe what you do without sounding like you have a multiple personality disorder? I love that I have diverse interests and I’m fortunate that these businesses are successful, but it can be rather difficult to fit everything I “do” into an introduction or “elevator pitch.” So rather than sound so scattered, I’ve decided to take a new approach…. 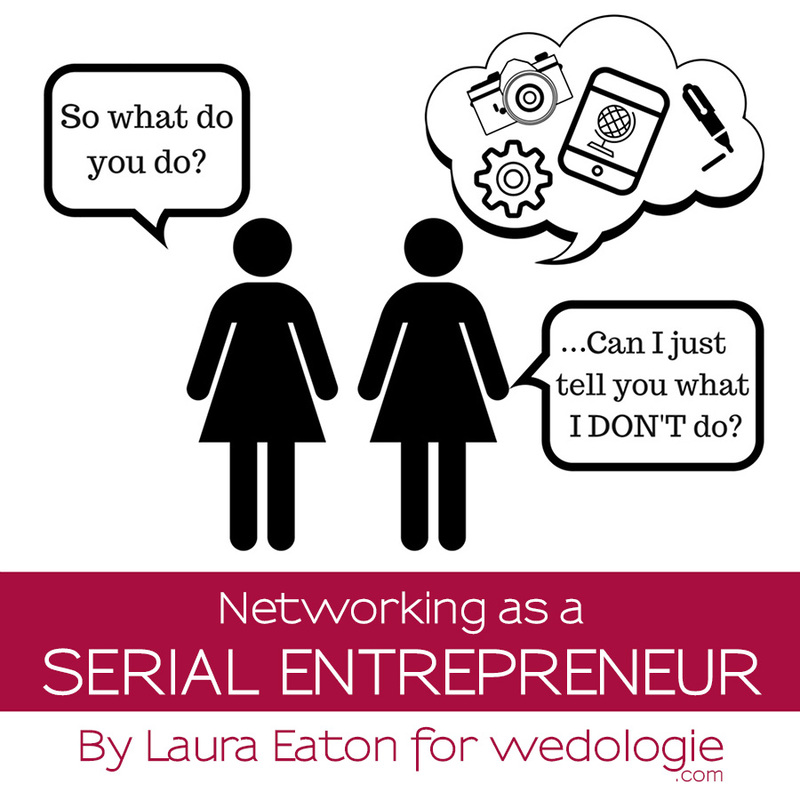 When I meet someone at a networking event, I’m now going to ask what THEY do first. If they approach, I’ll attempt to redirect with a polite “well, I do a few different things, but tell me about what you do,” politely asking them to go first. This will allow me to tailor my response about what I “do” to best relate to them…and hopefully sound a little less crazy…at least until I reach an awkward pause, panic and then say something strange… but that is a topic for another post! What else do you DO, to describe what you DO, if you DO a lot of different things? Feel free to comment below!